….What’s happening in Deirdre’s Dance Den today? 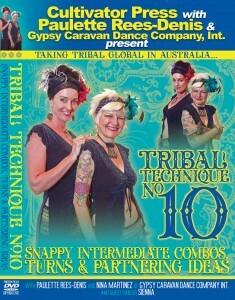 As guest editor for this blog—Taking Tribal Global—the portion that brings you lots of cool stuff including stories from Tribal Bellydancers from around the world, I invite you into my Dance Den, my virtual cubbyhole, a safe and beautiful space to think and discuss Gypsy Caravan Tribal Bellydance (TM) stuff. I hope you spare a few moments to read it and let me know what you think. This is a new format as opposed to the monthly E-newsletter, and Paulette and I want to fill you up, but not too often! You will see us once a week or two. We have lots to share, dance experiences that relate to us all, but are so individual to each. And we want you to join in the conversation, to be a part of the growing tribe. I desire to read about your stories on what music moves your beautifully adorned hips and how Tribal style lights up your life—don’t keep it in your head or hide it in your personal journal…but share it and shout it out for all of us to hear. Take a moment to acknowledge how your world is brighter with our fab dance in it…. and you dancing it! 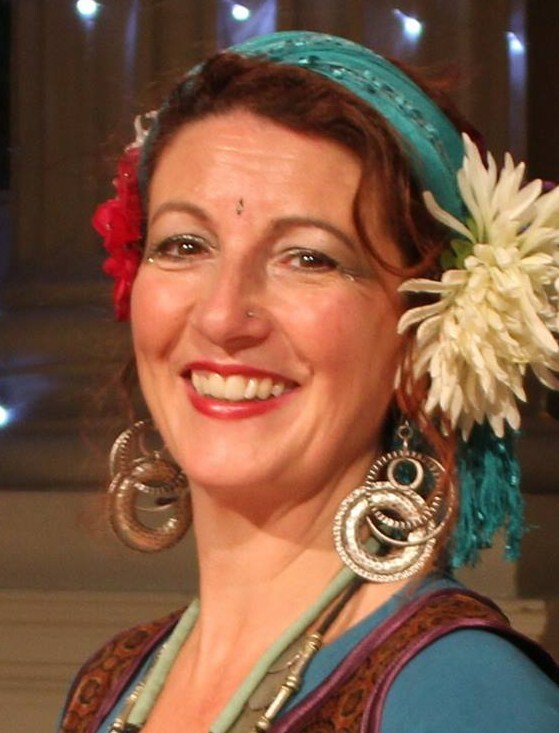 Today we hear from Nina Martinez, a Gypsy Caravan Dance Company dancer from Australia, who shares the passion for our Tribal dance. What’s life with a challenge? A story about tribal challenges – giving and receiving them! 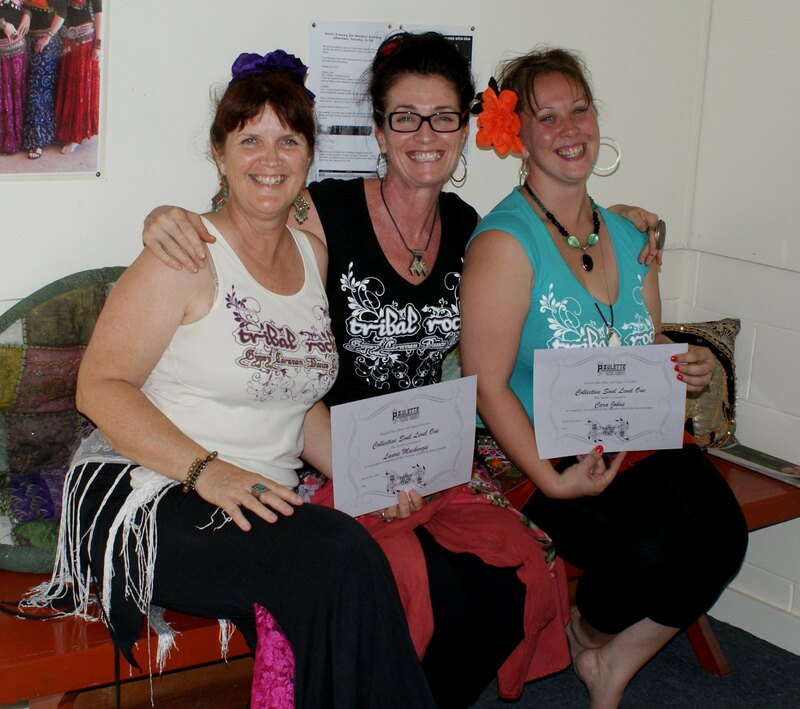 Earlier this year, in February, I was honored by Paulette ,who asked me to facilitate the Gypsy Caravan Tribal Bellydance (TM) Certification Intensive, Collective Soul Level One, in Kuranda, Australia. This was an amazing experience for me to both facilitate and observe, as I shared not only the instruction and training with the CS dancing women, but also to delve into their dreams and aspirations as dancers. This opened my eyes to the intention and integrity we have as dancers, the hard work, the determination, and the passion needed to be the best we can be. Paulette checked in everyday with us from Oregon, through Skype and audio files. I loved seeing the joy and happiness even though we communicated through time and space! This dance is truly GLOBAL! 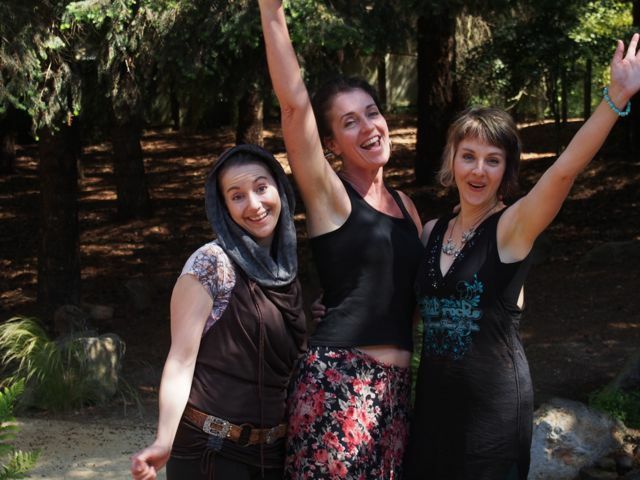 Then after presenting CS1 in Feb, I travelled to San Francisco to complete my Collective Soul Level Six and the first to partake in the Gypsy Caravan Master Teacher Training with my fabulous mentor Paulette Rees Denis. Joining me for our trainings was Hilary Giovale and Amanda Richardson. And it was an intensive week! Paulette gave us an amazing insight into how the Collective Soul program works. Not only did we learn how to facilitate and guide the attendees on their dance journey, through movement, meditation, journaling and of course, our dynamic Tribal Bellydance, but we learned how to allow the individual dancers to truly dig down deep and shine, and how to create that sacred and safe space for them to shine in. We are now certified to teach dance in Collective Soul Levels One and Two, but I am more than thrilled because this format offers so much more…..self-esteem, strength, connection, lifestyle, joy. 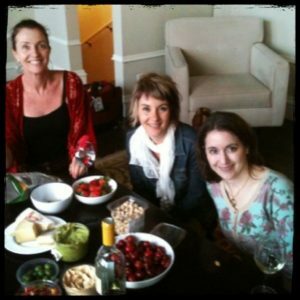 The lovely ladies in the photo with Nina (middle) are Laurie McKenzie and Cara Johns from my course, and both Collective Soul Level One certified dancers! Paulette and Nina dance together on Tribal Technique #10, along with sister dancer, Sienna….click here to check it out! So, thanks for being here and hope to here from you too! Please leave comments below…and pass this on… We thank you! Meet Cinzia from Gypsy Caravan Dance Company! Heart’s Desire- guest Blog with Allison Carr!